The students helped with registration, offered assistance at the start and finish lines and helped distribute water and food. It was a great experience for students to help those in need and raise money for a great cause. 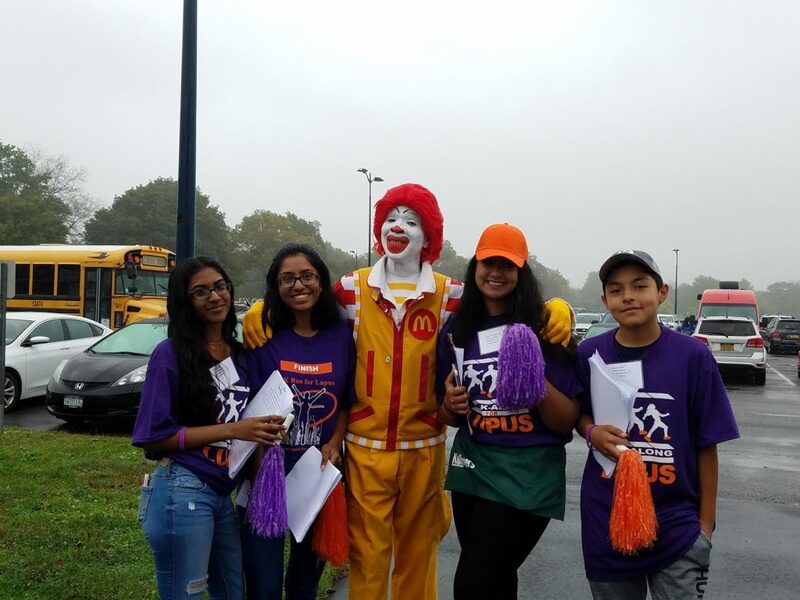 Photo Caption: Sewanhaka High School students Prejitha Alex, Aleena Thomas, Suhana Choudhury and Brandon Calle are pictured at the annual Walk-Along for Lupus event.